Bess and Charles will be involved in the Pearson family reunion and homecoming celebration August 5 and 6, 2017 at Pearson Chapel Church. Bess is in charge of a reunion evening program Saturday evening following a big family dinner. We will be a part of the homecoming celebration at 11:00 on Sunday morning. This event will be honoring the Spirital legacy of the Pearson Family. 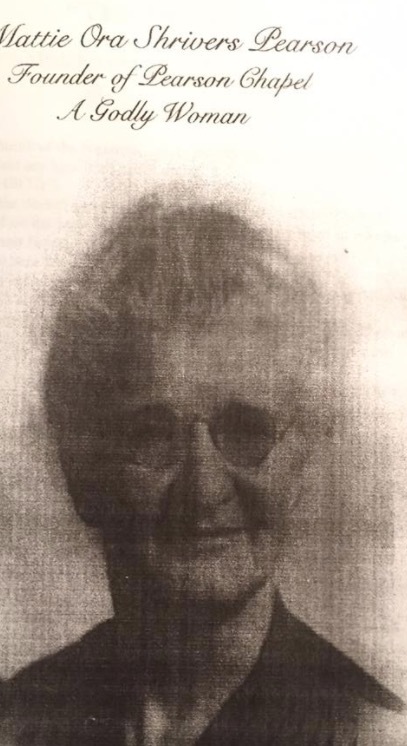 Bess's grandmother, Mattie Pearson, founded the church in 1939. Pictured below is Bess's grandmother and the Pearson Chapel Church of the Nazarene in Houston, Mississippi. Click HERE to see the Pearson family history. This a picture from 2014. 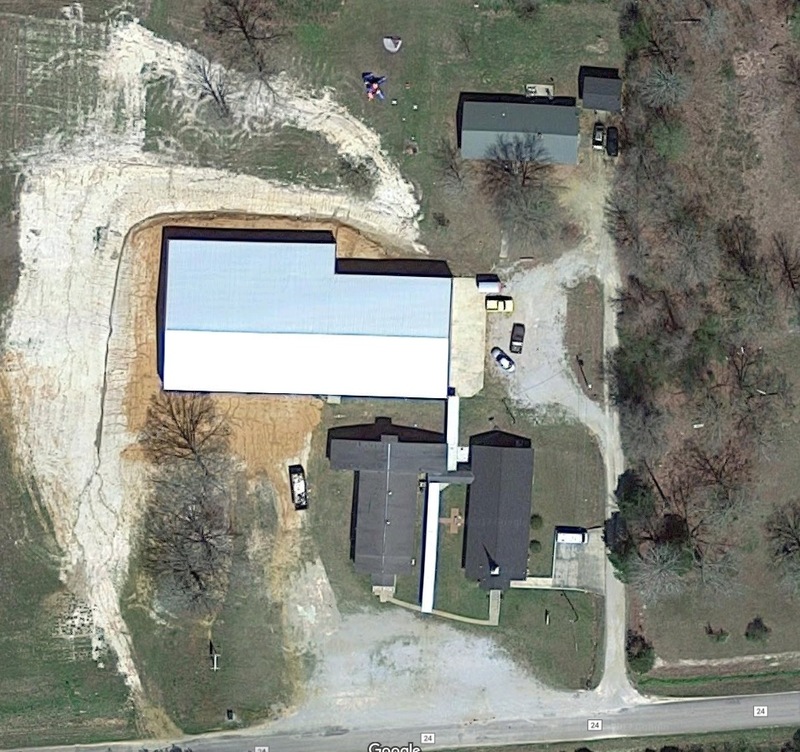 The brick building has since been replaced with a larger Sanctuary, pictured below in the satelitte picture below.